I have been struggling whether to write this article since last night. I knew I did not want to put it into my Newsweek column. Last weeks column was difficult enough to file. I am also working on another article for Newsweek that will not make many people happy, so I almost wrote the following for the Times of Israel, but even there I did not feel comfortable writing this so here it is on my little blog. What spurred me to write this were the Tweets last night be Israelis including MK Herzog decrying that fact that the world was not doing enough for the those trapped in Aleppo. I replied that that might be true but what have we done? For the last few years as I hear our leaders talk about the holocaust and how the world did not do enough I have cringed. What gives us with the largest and most effective military in the Middle East the right to talk about what the world has not done- when the only thing we have done is give some medical aid to those who arrive at our border. Our Prime Minister is too afraid of his relationship with Putin to even condemn the indiscriminate Russian bombings of hospitals. I understand all the very good reasons why we should not intervene, why we did not even create a safe haven next to the Golan Heights. It was clearly not in our “interests”. When discussing with friends I get should our children risk their lives for people who hate us? Its all true but…. The but is that the Allies, in World war II had many legitimate reasons for not changing their war plans that were after all aimed at toppling Hitler. So it’s time for us to stop decrying the fact that the world did not do enough to save the Jews during the holocaust. They did not. And the world has not done enough to stop the murderous Assad regime with the help of the Iranians and Russians for killing his own people. They have not. But what did we do? We could have grounded the Syrian Air Force in five minutes, we could have saved thousands if not tens of thousands of lives, but it was not in our interests. None of us really wanted to risk our children or take the chance that Hezbollah would start firing missiles to save some Sunni Arabs who were being slaughtered. That is reality, and it’s not a very moral reality that we live in. 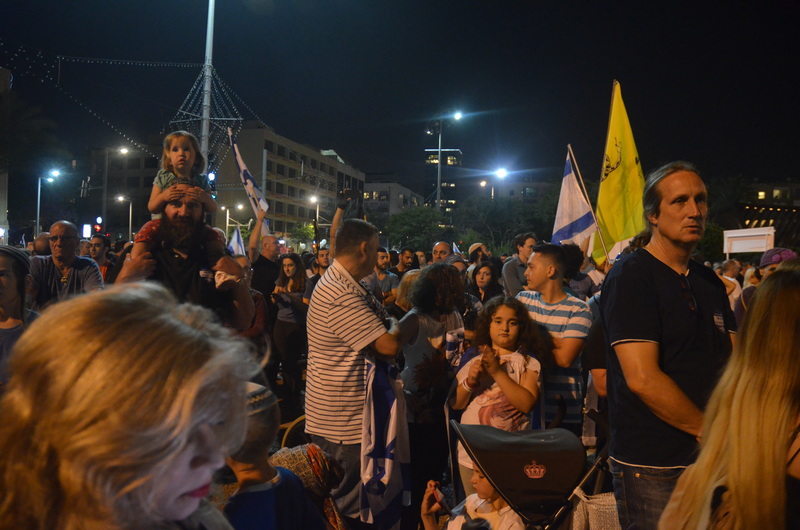 I just returned from the Rabin Memorial in Rabin Square, after years in which it was a totally apolitical affair, tonight it became something else. It did so largely because the traditional organizers did not have the money to organize and in the last moment the Zionist Union stepped forward to become the sponsor. In many ways I actually think this was more proper. Over the years when all the youth movements sponsored it, the event became too parve. It was too important not to insult anyone and be in the consensus that included Betar and Bnei Akiva than to present anything but the most general educational message against violence. When they organized it there could be no hint that the assassin was rightwing, or had religious motives. Tonight was different. 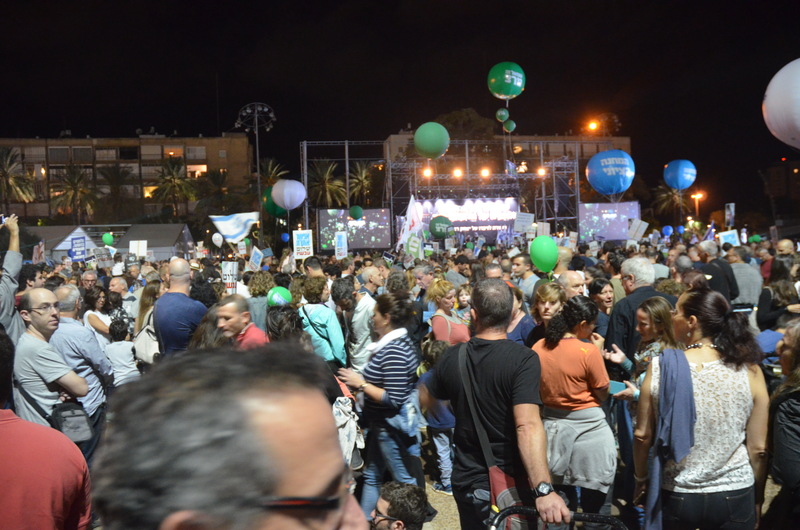 The Zionist Union took a risk organizing the event- were people going to show up? They received a great assist from the head of the government coalition today when he gave a talk and said the assassination of Rabin was not a political act. It was of course the most successful political assassination in recent history. 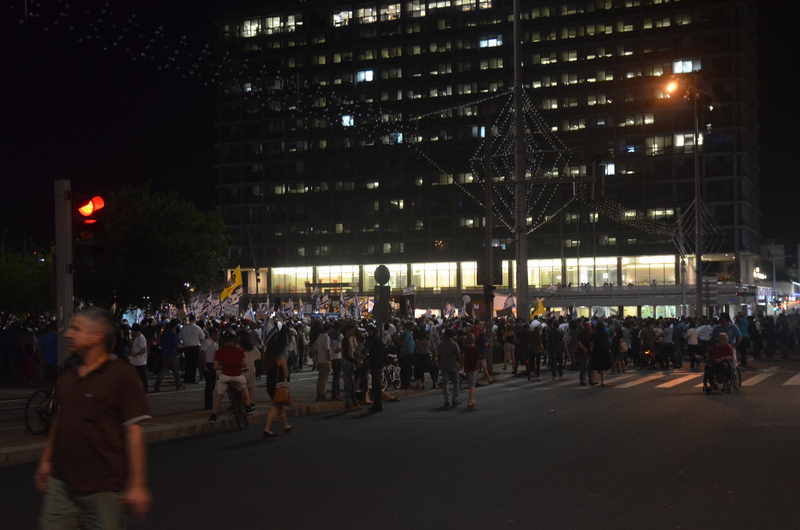 The crowds came – the square was full, between 50 – 70,000 people turned out. Recent actions by the government to silence the opposition were very much on the minds of the people who came and the people who spoke. The music was good but the best speech by far was given surprisingly by Tzpi Livni, who spoke about the values of Zionism. She said Zionism was not attacking the press, Zionism was not attacking the courts, and Zionism was not living in a country where we become the minority. Of course events in Israel are eclipsed by American politics. Its been an interesting few days for me. I was reluctant to write my article on Trump and the Jews and said so at the very beginning of the article. I felt I had no choice since, however small my soapbox was I have at least a small following and maybe I can do my part. I was shocked when my article went viral – and has now been shared 33,000 times. At this point it is the most read article on the Time of Israel today, this week, and this month and it shows no signs of slowing. I have to hope that most of the people who shared the article agree with it. So I guess I did my part. On the other hand, when you look at the responses that the article has garnered and the names I have been called it’s very impressive. It’s interesting how most of the people just call me names and don’t try to refute the facts. I am also always struck by the amount of hate out there and how much nonsense people repeat. I am cautiously optimistic that Hilary will win, and yet I fear she might not, since I truly cannot understand how anyone could vote for Trump, so maybe I am truly underestimating his support. The Israeli world of journalism and politics is an uproar today, not over the fate of the Supreme Court or of the settlement of Armona and certainly not over the latest anti-Israel decision as Unesco. But rather at something more prosaic and maybe over something more important in some way-the accusation by an American Jewish Journalist, Danielle Berrin that she was sexually assaulted by a prominent Israeli journalist later self identified as Ari Shavit. Frankly I am not surprised, not that I know Shavit personally, but rather I spent a fair amount of time around places where Israeli males met American Jewish female professional and have seen what the results have been. Of course my experience is from another era- I worked in the American/Israeli/Jewish years when I was young 17-20 and than later in my mid 30’s and it was a different time with different expectations. Certainly during my service in the Israeli Air Force I saw things that in todays world, would end careers. But during my years working for Jewish Agency I saw first hand the actions of Israeli visitors. It was still the years of the macho Israeli soldier, and they felt free to get their way with often willing American Jewish women students and professionals. Many of the women were willing participants, although in retrospect since many of the sinners were their bosses or other in a hierarchy above them in many of the case one can not speak about willing consent, others less so. It was widespread, and reached to people today who hold some of the highest positions in the government. I think it is better today, although I obviously cannot be sure. My daughters did not experience in the army any of what I saw when I was serving. The problem seems to be greater among older Israeli men who seem to be stuck in the past, a past that might have been pleasant for them but not for women who were on the receiving ends of unwanted attention or much more. We cannot be a society that tolerates this sort to behavior in any way. Ari Shavit role as the spokesman for the liberal Israel is over. Its too bad he was not a bad spokesman. Hopefully American won’t elect someone to be President who is guilty of as much or more than Shavit- but its irrelevant- there can be no excuses, no questions, sexual harassment is a career ender however talented an individual may be. First on the decision of the Joint Arab List not to attend Peres funeral: it was in my mind one of the stupidest things I have seen lately, and while they are not part of the traditional left in this country it is another example of the left committing collective suicide. The Left including the Arabs seem more concerned about being right than accomplishing anything. Accomplishing something is a matter of convincing voters. You do not convince voters this way. You do not convince the average Israelis that is ever a chance at reconciliation when you effectively say that even Peres who spent the last quarter of his life trying to find a way to achieve peace cannot be forgiven for earlier “mistakes” than how do you ever reach peace. It was terrible decision and will effectively delegitimize the Joint List further. A few thoughts on the death of President Peres: Israel faces a real crisis. When I was speaking to Herzog on Thursday night he compared it to the US after the Founding Fathers, but I mentioned to him that did not go that well for the US- He agreed and said that was our challenge. 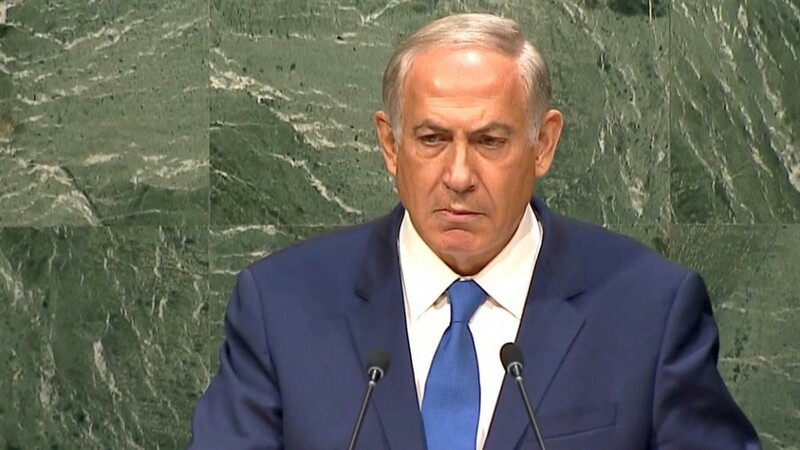 It really is a problem for the country, after Netanyahu the other leaders of Likud are not very competent people to say the least. That does not bode well for the future. They say the whole world suffers from a lock of leaders, our suffering is worse than many places. My last thought Before Rosh Hashanah relates to Syria. As an American and as an Israelis I am ashamed. We have been spending the past 70 years saying never again, and yet when it comes down to it, its Never Again only when its easy- or maybe when its Jews, I am not sure which. There are only two countries that could have stopped the at least part of the slaughter in Syria, the US and Israel. The US for reasons I will never fathom did not because of President Obama’s unwillingness to use conventional force, has led to his decision not to even threaten the use of forces, and Israel because it’s not in our interest. From the Israeli perspective we need to stop talking about how the world did not do enough during the World War II to stop the holocaust. It was not in their military interest to do more, even if they could have, which is a highly disputed historic point . It’s not in our national interest to get involved, but if we wanted to we could ground the Syrian air force in a matter of minutes. 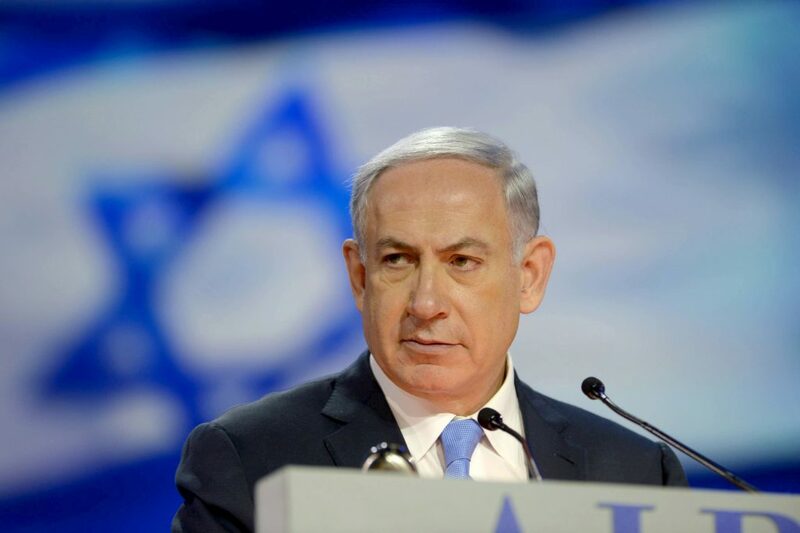 Political Turmoil Continues in Israel- New Anti Semitism in the US? Two very unrelated stories are dominating my thoughts as I write this. The first the resignation this morning Avi Gabi the Minister of Environment, from the Netanyahu government and the second an article this morning by Jonathan Weisman in the New York Times on the anti-semitism that he encountered after writing stories that were somewhat critical of Trump. Gabi resigned this morning stating that he could no longer sit in a government that was destroying relations with the United States and dividing the country. He warned that the second Temple had been destroyed because the nation was not united and stated that the current government was leading the country in that direction. Gabi stated that the firing of Ya’alon was something that should never have been done, endangered us and was a “frog he could not countenance”. Gabi also opposed the recent controversial gas agreement and said he considered resigning after it was passed but decided at the time to continue to work form within. Ya’alon and Gabi are considered by many as the two minister with the greatest personal integrity and it leaves the cabinet with almost no one who cares about liberal values. It puts the head of Gabi’s party Moshe Kachalon, in a very difficult position forcing to justify why he remains in the current government instead of bringing it down. Kachalon is the only one that can do that, but believes that he can bring down the price of apartments in the company and thus win the affection of voters. I am sorry to say he is not likely to succeed, but that is a different post. The feeling that that our ship is being captained by either fools or people whose ideology is blinding them to reality continues to be very unsettling to say the least. Of course if I want to feel good about politics here all I have to do is take a look at what is happening in the United States at the moment. I continue to be an ardent observer and have remained tangential professional involved in the election process, working with the US embassy here to promote greater understanding of the US elections and its process. While I have avoiding in this election cycle from writing too much, since I have learned the humility at trying to predict the future based on the events of the past, I was truly struck by the article by Jonathan Weisman “The Nazis Tweets of trump God Emperor” . In the article the author a reporter in the New York Times Washington bureau, describes the storm of anti semitism that he has encountered after daring to criticize Trump in any way. 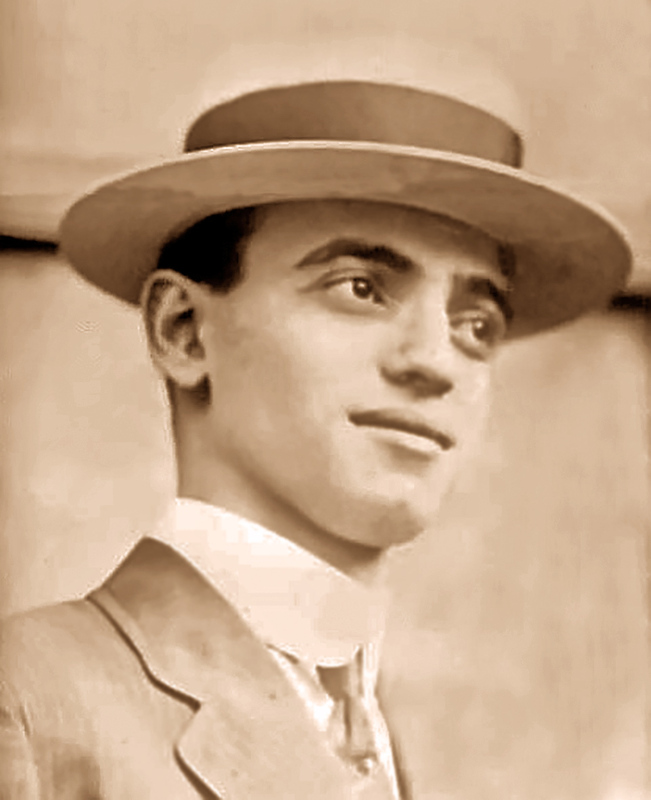 Weismann described how he was a typical assimilated Jew who was largely unconnected to the Jewish community. He describes his encounter with a 17 year old Jewish girl who was an LGBT and Black Lives Matter who stated that “there is no anti-Semitism, certainly nothing compared with the prejudices that afflict other minorities.” Weismann argued with the girl saying that you cannot ever ignore antisemitism – he wrote he thought he was sounding like his mother. Trump has brought out a wave of anti semitism that many thought no longer existed. Jews should have known better I suppose, when things start going bad somehow Jews are always at fault. I have written before on why I thought both Sanders and Trump have been successful – how ultimately technology has been replacing workers and upsetting the balance between capital and labor. That has created a mass of insecure people, people who are supporting Trump and to a smaller degree Sanders . These people are also turning on the “powerful Jews” . Jews have been totally accepted in the American Mainstream, so much so that it is guaranteed that whoever becomes President will have grandchildren that are at least partially or fully Jewish, and that is clearly fine with them . Despite this, on the right and the left fringes it’s clear that anti semitism has returned, if it ever had disappeared. I have always been someone who thought American was somehow different, its’ history insulated from the events that have happened to Jews in other parts of the world. Today I am not so sure. A country that might elect Trump might do other things that were until now hard to contemplate. A friend said to me last night- did you hear the good news? What ? The new poll results that Trumpo is in the lead. Why was that good I asked,? hHe said “maybe if Trump is elected 500,000 Americans Jews will come here, together with the British Olim and French we can finally change this country” Maybe the two things that I have been reflecting on this morning are not so separate after all. The past two days have been the craziest days I can remember in this country in terms of politics, and they certainly have not ended well. I try to write at least one column a week for Newsweek even when the news is slow. Yesterday morning I decided that there were two stories that were only loosely linked, the story of the ongoing disagreements between Netanyahu and the army and the story of the negotiations that Herzog was having with Netanyahu. Frankly I did not understand why Herzog was engaging in the negotiations since I did not see how they could turn out well. It just did not make sense to me that Netanyahu would be willing to give the minimum that Labor needed to justify entering into a coalition with Likud. The thrust of my article was clearly in that direction and initially dealt with how Labor was coming apart over the issue. Events of the day changed the article dramatically and the day ended with Avigdor Lieberman as our new Defense Minister. I have to say as someone whose son received his first draft notice today, the idea of Lieberman as Defense Minister is abhorrent. Netanyahu’s actions in appointing him should prove to anybody who cares about Israel how dangerous he has become to Israel. There are only two reasons that explain the appointment of Lieberman- Netanyahu’s perception that it will help him politically, or his interest in harming the army and its command. To many of us the army is one of the last bastions of intelligent people making decision in the public sector in this country. Either reason is frightening. To realize how terrible this idea is, you only have to reflect on the facts- and I am not talking about Lieberman’s politics, which while I think are self-defeating and immoral- do not disqualify him. What should disqualify him, is his lack of experience, lack of temperament and the smell of corruption that surrounds him. Never has a man as unqualified been appointed to Defense Minister. He had a minimum army service, has never run a large organization and never shown any expertise in the matters of defense beyond making provocative statements. Worse than that, he is known not to have patience for meetings that last longer than 10 minutes. Who is he replacing ? A former Chief of Staff, commander of the Central Command, commander of the most elite units, who by all accounts has been an excellent Defense Minister. What might the current Defense Ministers sins be- he thought a soldier who by all accounts killed a wounded terrorist in cold blood for no reasons should be tried. He defended the deputy chief of staff who might have picked the wrong day to warn about certain racist phenomena in our society, but most of us think he was right in warning about. So now, Netanyahu has appointed one of the people responsible for those problematic phenomena in our country to be Defense Minister. By the way have I mentioned the fact that although he was not charged in the end with corruption after a 10 year investigation, the fact that his 19-year-old daughter received a $17 million shekel consulting contract remains very suspicious, to say the least. Now that same man is going to be responsible for the largest budget of the state of Israel. I repeat a qualified thoughtful experienced Defense Minister is being replaced to serve the narrow political interest of Netanyahu. I am yet to hear any thoughtful person come up with a single justification. Everyone I know is very worried by this development and i am clearly understating the level of concern. I have to laugh when I read about the Conservative and Reform movements sending a delegation to convince Netanyahu to save the agreement on the access to the Wall. 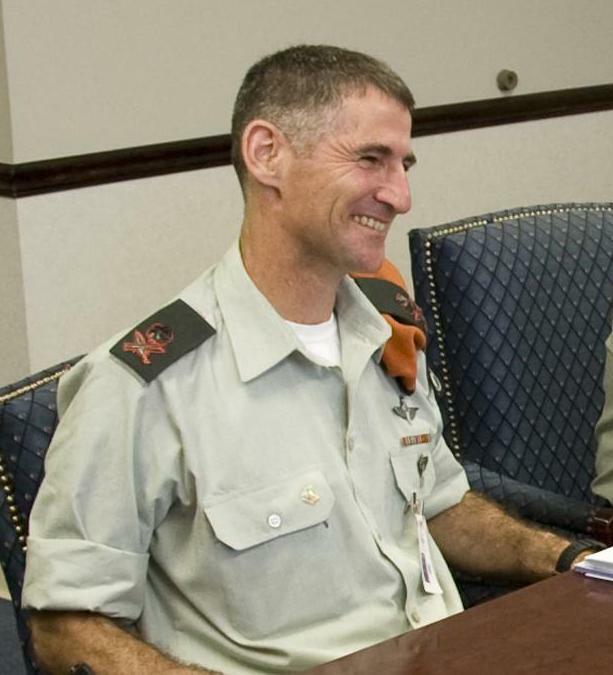 Do American Jews really think that a man who put an unqualified demagogue to be in charge of the Defense Ministry because it was politically expedient, cares about the views of American Jewry when its not politically expedient to listen? Over the years, Israel the years has rightly taken pride in itself for being the only democracy in the Middle East. The nature of the enduring bond between Israel and the United is complicated and relies on a variety of factors. However, there can be no doubt that one reason for the close U.S.-Israel relations has been the sense of shared democratic values the two countries share. I am not one of those people who goes around proclaiming,“our democracy is under siege,” or “the sky is falling, we are about to become a dictatorship.” Nor (at this point in my life) am I going march about declaring – “our system of government is fatally flawed and I’m plan to change that. I am old enough to have been involved in the first serious attempts to revamp Israel’s dysfunctional political system (in 1977, through a party named “Dash”, led by Yigal Yadin.) Despite all of its efforts, I watched up close as Dash crashed and burned. Yes, I do still believe that our system is very problematic and I could present any number of solutions that would improve it. 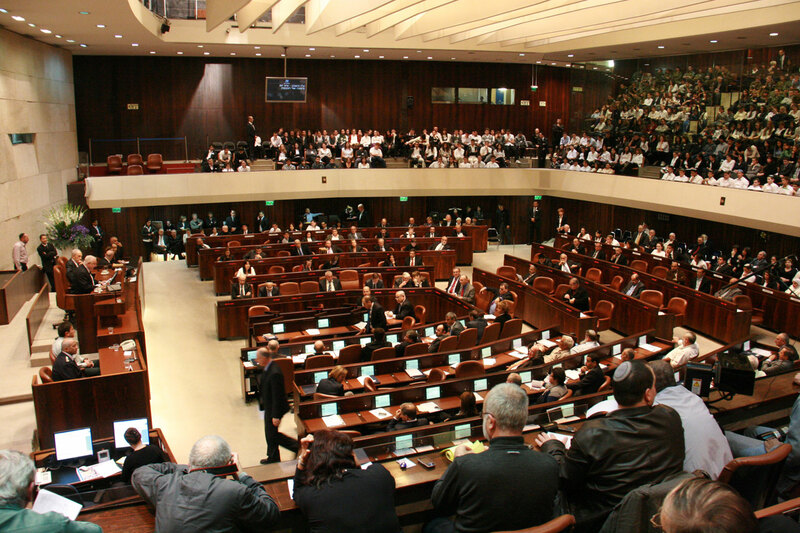 Though I am enough of a realist to know how difficult it is to change a system in which too many parties and individuals have a vested interest in maintaining the status quo … making Israeli political reform most likely impossible to achieve any time soon. That being said, I do believe that sustaining a democracy is not an easy proposition – especially in a young country whose democratic roots are not steeped in history. In addition, the nearly 70 years of continuous state of war that have characterized Israel’s existence, together with our extended occupation of the West Bank present unique challenges for any democracy. To further complicate matters Israel’s unique definition of itself as a “democratic” and “Jewish” state poses its own set of obstacles. All of these factors translate into is the need to strengthen the very foundation and understanding of democracy in Israel. Israeli students are never exposed to many of the philosophers of democracy, (such as, Locke and Rosseau.) Moreover, since Israel never had a constitutional convention – or even an extended debate over its Declaration of Independence – Israeli students are never presented the discussions that frame those foundational documents, which every American school-age student is taught. To many Israelis, Israel is to be considered a democracy solely because we have nation-wide elections every four years. It has become clear to me that the way I can work best to strengthen Israel over the coming years is by working to reinforce Israeli democracy. Doing that does not mean fighting the day-to-day battles over legislation and civil rights; rather it means taking the long view, helping educate the coming generations on the meaning of democracy. As we launched this new endeavor, we have been fortunate to work in conjunction with the U.S. Embassy in Tel Aviv on a number of projects, including a key venture educating Israelis on the American Presidential election system – a program that can be implemented without becoming involved in the sectarian right–left, religious-–non-religious divides that make achieving many educational aspirations so difficult. We have an ambitious list of projects that we hope to accomplish in the next few years, including: developing and providing lessons plans, apps, educational resource materials and teacher training all focusing on education toward democratic values. We hope to work across all sectors of society with one goal – and only one goal – in mind, i.e. to strengthen the understanding of democracy in our society. I hope that as many of my readers as possible will become involved, either by helping develop material, giving financial support or taking on leadership roles in this essential enterprise. The week in Israel is coming to an end, as Pesach is at our doorstep. Tel Aviv tomorrow night will be a ghost city, with all of its young residents taking off for the homes of their parents usually outside of Tel Aviv. Of course, many Israelis have left for vacations overseas, this week being the busiest of Ben Gurion Airport. 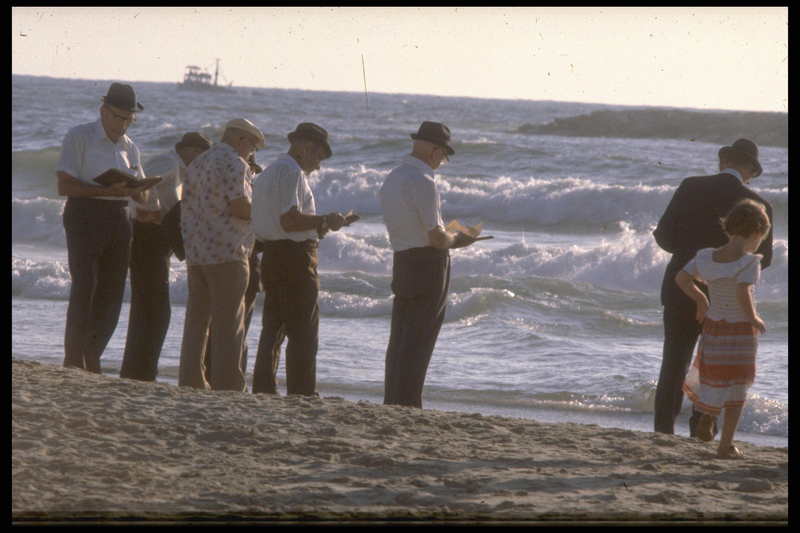 Once upon a time, the majority of travelers would be Jews coming to spend Passover here, but these days those numbers are way down. Politically this week the career of the head of the opposition MK Bougie Herzog effectively came to an end. At this point, he is what one would call the “walking dead”. His final downfall was not the fact that the police are investigating him for campaign law violations, but rather, it was his statement two days ago in Ashdod that the problem with the Labor party is that it has been seen as worrying more about the Arabs and then about the Jews. I understand what he was trying to say- but he is over as a politician leading the Labor. His policy of trying to move to the right of Netanyahu seems pathetic, especially when Bennet cannot even do it. Bennet actually succeeded this week in outflanking Herzog from the left. After Herzog stupid statement Bennet stated I am the Minister of Education of all Israelis, Jews and Arabs and I love them all. This was a week of tunnels found, buses being blown up by Hamas in Jerusalem; thankfully no one was killed. It was a week that Netanyahu decided to have a cabinet meeting on the Golan to declare that the Golan will always be ours, in the meantime he managed to get the world to say it was Syrian. It was a week where the big story this morning was that Netanyahu threatened to fire Bennet at the cabinet meeting. Of course, he did not fire him and bring down his government. Today, Netanyahu visited Putin for the third time this year and announced that he will return for another visit in two months. Obama is in Saudi Arabia and Netanyahu is in Moscow- growing up who would have believed it. Tomorrow night we all sit down at our Seders, in the end, we traditionally say next year in Jerusalem. As a nation, we no longer have to say it, as someone who lives in Tel Aviv it’s not something I wish for. 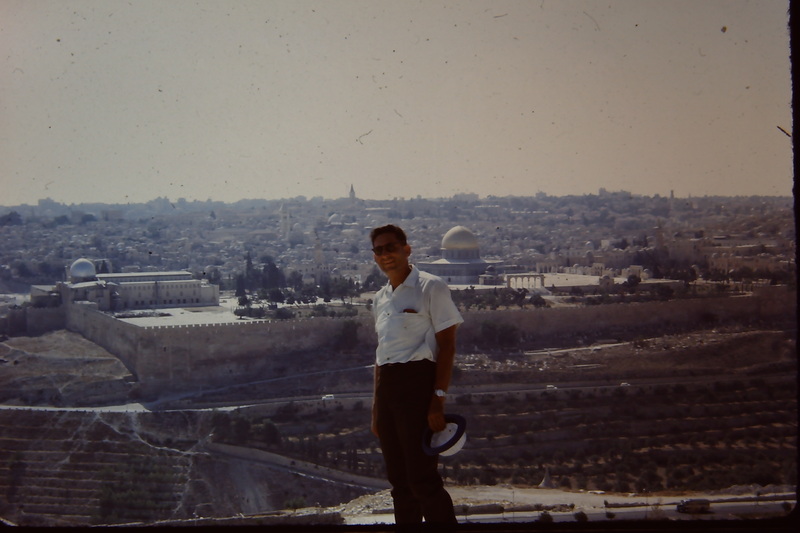 As a kid after the ’67 war we would say the rebuilt Jerusalem but after some of the architectural monstrosities that have been built in Jerusalem these past few years ( think about the Holy Land project)it’s hard to wish for that. We have been saying Jerusalem in peace and that is about as good as we can wish, and seemingly as unattainable as Zion was for the 17th centuries Jews. We did finally return and hopefully we will eventually be able to live in peace, I doubt our generation but I still hope for my grandson’s generation. So I wish my readers a Happy Passover, may you all have meaningful seders with friends and family! 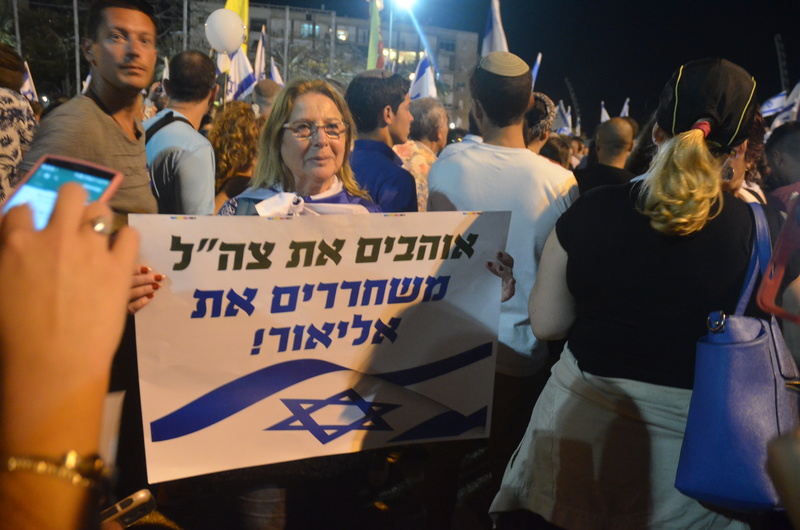 I just came back from the rally in Rabin Square that is being held in support of the soldier accused of killing a neutralized Palestinian terrorist. It’s a complicated story. Originally when the demonstration was announced I thought I would have to write a Newsweek article about the demonstration, but yesterdays hard news stories trumped todays news, so I think I can pass. Besides its late and i put much more effort into my Newsweek stories than I do for these blog posts. It many ways it was a good day for Israel today, the court system worked. This morning Yosef Chaim Ben David who was the leader of the group that killed Abu Khdier the Arab teenager burned to death last year was found guilty of murder. The court rejected his plea of insanity. The judge hinted that he would be sentenced to life in prison. A short time later, Yishai Schlissel’s was convicted of murder for his attack on participants in the gay pride parade in Jerusalem last year. Tonight a more complicated environment took place in downtown Tel Aviv as thousands came to Rabin Square to show their solidarity with the soldier who is accused of killing the Palestinian terrorist who had already been neutralized. The accused was not at the location at the time of the attack but arrived later. The crowd was surprisingly not the average right wing gathering. Only a small part of the crowd were religious. I spoke to many of the participants and one theme kept repeating itself, the kid could be any our kids. We sent him and we should stand behind him even if he made a mistake. It was a sentiment that I could understand and even sympathize with. My only problem comes down to the fact that he the soldier did not just make a mistake, he seemingly in cold blood killed the wounded terrorist. People asked me at the rally how I would feel if it was my son, and when I heard both the Father and Mother of the soldier speak, my heart broke for the pain they are going through. The Mother was crying throughout her short speech. On the other hand, I would hope that my son whatever the circumstances and the general anger, would not go and just shoot someone. It’s a hard story, there have certainly been many cases of soldiers losing it in war, killing POW’s and more. Take a look at this story of British soldier in Afghanistan. As I discussed with one religious woman from a settlement tonight, serving in Hebron is not easy for soldiers the pressures are high on all sides and its easy enough to just lose it. But should there be consequences? I worried after spending time on occupation duty in Gaza 35 years ago that the occupation would have terrible consequences for our society, it has whether we like it or not. So maybe we cannot blame the soldier who was sent to do an impossible job but it’s our society at large who cannot come up with a solution. In some ways my saddest conversation tonight was with a man who kept on saying that we have to beat the terror once and for all. He was close to my age and when I reminded him that this has been going on in one form or another for our whole lives he just repeated but we have to beat it.